"We shall have to repent in this generation, not so much for the evil deeds of the wicked people, but for the appalling silence of the good people." ~ Martin Luther King, Jr. This is a transcript of an email interview I had with Andrew Gavin Marshall, Project Manager of The People’s Book Project. In it we discuss anarchism, trace its beginnings, delve into some of its history in both the United States and around the world, and conclude by discussing anarchism’s effect on today’s Occupy movement. Mr. Marshall: Anarchism is difficult to define simply because it is such a diverse political philosophy, with so many different variants. So the definition tends to alter as the particular brand of anarchism differs. However, at is core, anarchism – in its original Greek wording – means simply to be “without a leader.” Running in opposition to traditional Liberal thought, such as that articulated by Hobbes’ notion of anarchy as a “state of nature” mired in war and conflict, and thus the State was necessary to maintain order, one of the original anarchist thinkers, Pierre-Joseph Proudhon countered, “Anarchy is Order.” Despite the connotation of the word “anarchy” to that of “chaos” and “disorder,” anarchism and anarchist societies are highly organized and ‘ordered.’ The central difference between an anarchist conception of order and others is that anarchy removes the structures of authority, so that society is organized through free association and non-hierarchical organization. It promotes both the individual and the collective, simultaneously. This is opposed to Liberal thought, which promotes the individual above all else, or socialist thought, which promotes the collective above all else. As one of the most influential anarchist thinkers, Mikhail Bakunin, described anarchist thought when he stated, “We are convinced that liberty without socialism is privilege, injustice; and that socialism without liberty is slavery and brutality.” This has often led anarchism to be synonymous with what is referred to as “Libertarian Socialism,” which is where the root of Libertarianism lies, but has strayed quite far from. Ultimately, what underlies all anarchist thought is a heightened and radical critique and questioning of power and authority: if a source of authority cannot legitimize its existence, it should not exist. Devon DB: Who and where was anarchism first thought of? What was the societal context that anarchist thought originated from? Mr. Marshall: Anarchism is not like Marxism or Liberalism or other firm and concrete ideas, where the originators can be properly identified and understood. Just as it espouses a philosophy of being “without a leader” so too does a great deal of its historical development take place “without a leader.” Anarchist thought developed – to various degrees – throughout much of human history, in different times and place, often without any contact between the various civilizations themselves. It is, in this sense, an organic idea that can originate within any context. The first evolution of anarchist ideas has been identified as originating in ancient China, among the Taoists. Peter Marshall wrote in his quintessential, Demanding the Impossible: A History of Anarchism, that, “Throughout recorded history, the anarchist spirit can be seen emerging in the clan, tribe, village community, independent city, guild and union.” It emerged in various strains of thought in ancient Greece, and later during the Christian era, most especially with the peasant revolts of the Middle Ages. This all took place, however, before anarchism came to be defined as an ideology or philosophy in and of itself. Next followed the Russian revolutionary Mikhail Bakunin, the father of “Libertarian Socialism,” and the man who became the principle ideological opponent to Karl Marx. Another Russian, Peter Kropotkin, was one of the most influential anarchist philosophers in history, developing it into a more systematic social philosophy. In the United States, Benjamin Tucker was among the first anarchist thinkers, adding a particularly individualistic character to it. Other prominent anarchist thinkers include Leo Tolstoy, who brought in a religious element, and Emma Goldman, who developed a feminist strand of thought in anarchism. All of these thinkers collectively shaped the development of anarchist thought and practice in the 19th century and paved the way for its evolution over the 20th. Devon DB: What form did anarchism first take? How did the state and the populace at large react to it? Mr. Marshall: Anarchism took different forms in different places and times. Throughout its modern history, regardless of location, the State always reacted defensively and often violently. Since one of the main tenets of anarchism is the abolition of the State, the state has in turn sought (with arguably more success) the abolition of anarchism. Anarchists have been demonized, infiltrated, spied on, deported, killed, or had entire movements violently destroyed. Anarchism was arguably most represented in labour and immigrant movements and activism in the 19th and early 20th centuries, particularly among unions and Jewish emigrants out of Eastern Europe. Poor Jewish emigrants who had to flee Eastern Europe and Russia following the pogroms of the late 19th century took with them an ideology which found a deep grounding in a people without a state, a philosophy which reflected a stateless vision of global solidarity. Many of the Jews who fled were also socialists and Marxists, and radicals of all types, but the most prevalent force was with anarchism. These radical emigrants helped spread the ideas of anarchism into Western Europe, to London, France, Spain, to the United States, and even helping facilitate a massive anarchist movement in Argentina, much larger than the local communist movement. Radical Jewish emigrants who were articulating anarchist philosophies generally incurred two reactions from their new countries of residence: the poor and working class people and immigrants welcomed these radicals, who struggled for the rights of all, and who were often at the forefront of movements for social justice, labour rights, anti-war, and empowerment; and, on the other hand, the State and media would promote the idea of dangerous “foreigners” and often promoted conceptions of anti-Semitism in order to push this idea. Thus, the reaction from among the general (at least poor and working class) populations was to undermine anti-Semitism and promote cross-ethnic solidarity, while the State and established powers further promoted anti-Semitism, anti-immigration laws, and enhanced police responses. This in turn facilitated police cooperation and coordination between various states, from Western Europe, to the United States and Argentina. Devon DB: How did anarchism evolve over time and spread? Mr. Marshall: As previously mentioned, a great deal of the spread of anarchism was facilitated by the mass emigration of radical Jews out of Eastern Europe and Russia in the late 19th and early 20th centuries. The modern history of anarchism is intrinsically linked to modern Jewish history, to a recent history of anti-Semitism, and even to the history of Zionism. This had both negative and positive effects, and promoted two major stereotypes for Jews. On the one hand, it promoted the stereotype of the radical Jewish immigrant, which received a good deal of favour among oppressed populations, but also a great deal of anxiety, xenophobia, anti-Semitism and racism among the ruling classes. On the other hand, Jews were subjected to the stereotype of the rapacious Capitalist, mostly by making reference to the Rothschild banking family. The Rothschilds had for many years refused to support – whether ideologically or financially – the Zionist movement, and for a number of reasons: it’s radical socialist ideas were opposed to the very nature of how the Rothschilds became the Rothschilds, and perhaps more importantly, because the Rothschilds feared that if they promoted the idea of a Jewish nation, they would be forced to leave Western Europe and go to that very nation. As circumstances changed, however, the Rothschilds promoted a non-radical vision of Zionism, not socialistic or anarchistic, but distinctly Western and capitalistic. It became an opportunity to push the spread of Jewish radicalism into a more controllable ideology, and instead of deporting radical Jews, to support immigration to a new location (the Rothschilds were among the main financiers in personally providing for the means to transport Jews to Palestine). By far the most impressive representation of anarchism in modern history was in Spain. As Peter Marshall wrote, “To date, Spain is the only country in the modern era where anarchism can credibly be said to have developed into a major social movement and to have seriously threatened the State.” Spain was in part specially suited to this because of its long history dating back to the Middle Ages of having many independent communes with their own particular local laws. 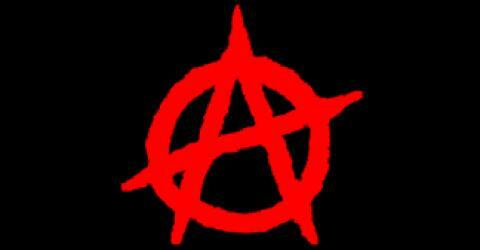 Anarchism in Spain became popular among the rural poor in the late 19th century, often inciting local insurrections. In time, the philosophy made its way into mining communities and working communities in Barcelona and Madrid. It became popular among young and radical intellectuals, and reportedly even attracted the likes of a young Pablo Picasso. Spanish anarchism was a struggle primarily against both the Church and the State. Just as in France in the 1890s, Spanish anarchism often had violent expressions in bombings and assassinations, met with brutal government repression. In time, however, the inability of terrorism to overthrow the State became clear, and instead of violence, propaganda became the primary tactic, of spreading the philosophy among workers and peasants. In 1907, in the midst of industrial unrest, libertarian unions in Catalunya, Spain, formed the syndicalist organization, Solidaridad Obrera (Workers’ Unity), and in 1909 it called a general strike. Street battles broke out in which roughly 200 workers were killed, and after which the unions decided to form a stronger and larger organization, the Confederacion Nacional del Trabajo (CNT), which by 1919 had a membership of one million. Between 1917 and 1923 it organized revolutionary strikes all across Spain. In 1919, the CNT adopted the principles of communismo libertario is its main ideology, uniting many unions and workers in opposition to authoritarian socialism. The individual and collective were simultaneously promoted, so that one was not sacrificed for the other, but rather, both were strengthened in support of one another. Diversity was accepted and promoted, understanding that communes would take on different forms and represent different ideological strands. Education was to be concerned with literacy so that people may think for themselves, and there was no distinction between intellectuals and workers. Courts and prisons were without purpose. These resolutions adopted at the 1936 congress were not to be a blueprint, but rather, “the point of departure for Humanity towards its integral liberation.” Between the time of the congress and the end of the year, the membership of the CNT had grown from 500,000 to 1.5 million. Franco rebelled against the Spanish Republic in July of 1936, was his forces were quickly disarmed by popular militias. By 1937, roughly 3 million people were living in collective rural communities. Many villages were established, where money was abolished, collectivizing the land, eradicating illiteracy, and the popular assemblies often included woman and children, responsible for electing an administrative committee which would be accountable to the assemblies. There were also some communities which were ‘individualist’, where people would work their own individual plots of land, while Barcelona became the centre of “urban collectivization.” Public services and industries were run remarkably well in a large and diverse city. Between July and October 1936, “virtually all production and distribution were under workers’ control.” However, the social revolution was undermined by the war against Franco, and the increasing struggle with other factions, such as the Communists. Some anarchist leaders were being co-opted into government, and the CNT became increasingly ineffective. As the other factions were receiving foreign support, with the Communists getting support from the Soviet Union, Franco getting support from Hitler and Mussolini, and other factions getting support from Western liberal states, the CNT felt that it would have to incorporate with the state in order to get aid in order to win the war. Thus, by the middle of 1937, wrote Peter Marshall, “the greatest anarchist experiment in history was virtually over; it has lasted barely a year.” The communists had begin to replace the anarchists due to their foreign aid from the Soviet Union, who also organized a secret police which began a reign of terror, largely against anarchist groups, and ultimately the government itself crushed anarchist resistance and imposed censorship of the CNT. Devon DB: What role did anarchism play in the 19th century labor movement? How was anarchism received in the general labor movement and the regular populace? Mr. Marshall: In the 19th century United States, labour struggles were a consistent historical development. As anarchism became an articulated idea and philosophy, along with Marxism and Socialism, these radical philosophies became increasingly associated with labour movements, especially in the formation and operation of unions. In the 1860s, two anarchist federations were formed in the United States, the New England Labor Reform League and the American Labor Reform League, which, according to William Reichert, “were the source of radical vitality in America for several decades.” Arguably the most influential American anarchist of his time, Benjamin Tucker, translated the works of Proudhon in 1875, and started his own anarchist publications and journals. From the 1880s onward, many immigrants to the United States, such as Emma Goldman, helped facilitate the growing popularity of anarchism. Anarchist ideas had some grounding in the revolutionary labour movement in Chicago in the period of the 1870s to the 1880s, noted especially in the Haymarket Affair in 1886, which was connected with the struggle for the eight-hour workday. Across the country on May 1, 1886, roughly half a million workers demonstrated in support of this idea, with the most extreme cases in Chicago, with the largest strikes and demonstrations. Three days later, on May 4, a bomb was thrown at a protest rally in Chicago’s Haymarket Square, killing several police officers and leading to the shooting deaths and injuries of an unknown amount of protesting workers by the police. The bombing, though its origins remain a mystery, led to the Chicago elite leading a crusade against revolutionary workers movements, with over 200 members of the International Working People’s Association (IWPA) arrested and several tried, with the state prosecutor proclaiming, “Anarchy is on trial.” Following the Haymarket Affair, working class organizations and unions became increasingly radical, many of them adopting distinctly anarchist principles of organization and ideology, and in turn, state repression became more violent and pronounced. The reason why radical unions did not survive the following decades was not due to some intrinsically American spirit of “rugged individualism,” and the national mythology dictates, but rather due to the violent and consistent state repression. Thereafter, and until this very day, May 1 has been celebrated internationally (though ironically not in the United States or Canada) as International Workers’ Day (or May Day). This radical movement that had emerged out of Chicago in this era has often been referred to as a blending of Marxism and Anarchism, as “anarcho-syndicalist,” “revolutionary socialist,” or even “communistic-anarchist.” It did indeed have a profound impact upon all labour struggles in the following era, upon the agitation and strikes, and upon union organization and ideology. However, as it evolved into the 20th century, unions became increasingly crushed, co-opted, and dismembered, so that instead of united and international federations, they became industry and even company-specific, they became reformist, not revolutionary, and they became even corporatist, in which they sought to work with big business and government instead of against. Devon DB: How has anarchist philosophy been distorted over time? Mr. Marshall: This is a very important question. Anarchism is often considered synonymous with violence and chaos, when in truth, it has far more to do with peace and order. Anarchism has been very easy to dismiss and discredit simply because of its vast diversity. It has had no consistent and rigid structure of thought or action. Yes, there have been violent anarchists and violent agitation, terrorism, and assassinations, and this has done a great deal to discredit an entire and incredibly diverse realm of philosophical thought, but there is much more to anarchist ideas and actions. Anarchist history is often written out of official histories, such as with the Russian and Spanish revolutions, such as with Argentina and the spread of Jewish emigrants. Even today, many in the “alternative” media demonize anarchists. Anarchist groups were among the first documented cases of having police infiltrators in London in the late 19th century. Infiltration of anarchist groups often still takes place, or more common, is that infiltrators in protests or other demonstrations simply aim to appear like “anarchists”, who are often associated with the Black Bloc, wearing black and with faces covered by masks or bandanas. Many in the alternative press blame police infiltrators for all the violence at protests, which is a misrepresentation, and simultaneously they often portray anarchist groups such as the Black Bloc as entirely consisting of police infiltrators, which is also a misrepresentation. In turn, the state and media portray these same anarchistic groups as violent thugs and criminals, and justify state repression against protesters. In Montreal, for example, anarchists have often been blamed for most of the violence and vandalism, when in fact it is the police (in official uniforms) who have been the most violent and destructive against the burgeoning students movement which began back in February. If you look at the “anarchist” violence, it typically consists of vandalism against bank property, such as smashing bank windows, or throwing rocks at police. Some others among the protesters have also participated in these actions, which are almost always reactions against the police brutality that has been taking place. Reading statements of student protesters who were present on the May 4 protest in Victoriaville, Quebec, where several students were shot in the face with rubber bullets by the police and nearly killed, we see another side to the so-called Black Bloc. Students described being tear gassed and falling to the ground as the riot police approached. Then it was members of the “Black Bloc” (or at least identified as looking like members, since there is hardly a membership roster), with their faces covered and goggles on, who would assist these fallen students, bringing them away from the riot police, treating their eyes, getting them to a medic, kicking the tear gas canisters back to the police. In many protests, when the police violence takes place, it is these individuals who appear to be on the “front lines.” And while their specific actions may not be condoned, they do reflect a popular anger among a rather large segment of the students. So in terms of the demonization of anarchists, or very specific anarchist actions of violence, there is a difference between condoning the act, and condemning the anger. Simply because the act itself may not be helpful in terms of gaining popular support for a cause, or because it “justifies” police repression in turn, does not mean – as many in the alternative press articulate – that the anarchists are “working for the State,” are all agent provocateurs or infiltrators. Though this is the case at times, it is misleading to portray it as exclusive, and it simplifies rather complex situations, circumstances, and reactions. When a police truck was driven into a group of students at Victoriaville on May 4, it was a small group of average student protesters who picked up rocks to throw at the truck. The vast majority of students were peaceful in the face of police violence and repression, but the fact that some will react violently is not a reason to dismiss, but an important point of understanding: it informs us that the situation is more extreme, that the reaction is more intense, that the circumstances are more dire. In the same way that when you corner an animal it becomes both its most vulnerable and most vicious, we are seeing this emerge in various protest movements and demonstrations around the world. Simply blaming “anarchists” does little to quell the violence and unrest, and does a great deal of harm to properly understanding these situations and how best to resolve them. Ironically, as anarchists in Montreal have been blamed for most of the violence at protests here over the past 15 weeks, the most organized and openly admitted anarchist event was in holding a large book fair. Anarchism is still an intellectual pursuit, and because of its refusal to become a rigid ideology, and because of its acceptance of diversity, there will always be more radical and even violent elements and tactics, but ultimately, it is a philosophy built around the concept of solidarity and cooperation, of free association, liberty, and peace. The most common argument against anarchism, from those who typically do not understand what anarchy is, is that without some form of “authority,” the world would be chaos, people would be killing each other, and we would have disorder and destruction. Devon DB: How has anarchism been used in other parts of the world as a means of resistance? Mr. Marshall: Anarchism historically spread to London, France, Spain, Italy, the United States, and especially Argentina in Latin America, as some of its most obvious examples. As it was largely destroyed as a powerful movement following the two World Wars, it had a re-emergence during the rise of the New Left in the 1960s. The New Left was pivotal in the political agitation and protest movements in Europe and the United States in the late 1960s and early 1970s. It helped to re-invigorate an anti-Capitalist ideology and thinking, and in some cases, spawned an anarcho-Capitalist ideology itself. As the environmental movement emerged, so too did an anarchistic brand of environmentalism. Thus, as new movements and social agitation emerged and erupted, new brands and ideas of anarchism would adapt and evolve to the changed circumstances, just as it has through a great deal of human history. Devon DB: What is your opinion on modern-day anarchism, specifically anarchists who are a part of Occupy? Mr. Marshall: Modern anarchists are simply too diverse to hold a single opinion. It comes down, as it always has, to recognizing the diversity, and forming diverse opinions on different groups and tactics. As I referenced earlier, I may not condone the act, but I cannot condemn the anger. There was a time when I too would portray all violence as destructive and mindless and would even point as those who committed it as mere infiltrators and agents provocateurs. However, after having been witness to and caught in the midst of the student rebellion erupting in the Canadian province of Québec over the past 15 weeks, after having seen the national propaganda campaign against the students and the violent state repression enacted on a daily basis, it does not surprise me to see some people turning to acts of violence in their resistance. It ultimately is not helpful for the student movement as a whole, as it demonizes them and reduces popular support. But what I have come to understand is that it is a symptom of a large and growing anger, frustration, and discontent. Violence and terror are reactions of the desperate, so instead of demonizing the act itself, we must come to understand the desperation. For if we truly want peace, and peaceful protests, we must understand the origins of violent reactions. Anarchist groups and ideas are re-emerging around the world to a larger and quicker degree than perhaps thought possible. We see anarchists as part of protest movements in Britain, Spain, Greece, Quebec, the United States, in the Occupy Movement, in Iceland and Italy. The tactics and specifics vary from place to place and person to person, of course. For example, in Italy, there was a recent case in which an anarchist group took responsibility for kneecapping an Italian nuclear company executive, and threatened more shootings. I think it is likely we will see a type of historical parallel to what took place in the 1880s in many places around the world, where we see acts of violence and terror which are attributed to or undertaken by individual or specific anarchist groups, and that as these tactics are presented as unhelpful, as counter-productive and problematic, there may be an increased tendency to renounce all forms of violence and to focus on education and “propaganda,” which the vast majority of anarchists focus on already. Just as a contrast, while it may be the case that an anarchist group has shot at industry executives in Italy, an anarchist intellectual – Noam Chomsky – has for decades been speaking softly and eloquently, writing and reading and agitating not with fists but words. Ultimately, Chomsky has done more to advance anarchism and anarchist ideas than any act of violence has or could. This is the direction that should be most pursued, and along the lines of anarchistic organization. If you simply look at the Occupy Movement itself, there are many cases of anarchistic structure: the lack of hierarchy, the general assemblies, the public libraries, etc. The libraries are a fascinating case, especially in this time of “economic austerity” in which libraries are increasingly coming under the harsh gaze of the State to have their funding cut. What the Occupy groups have shown is that if the State takes away the libraries, people can simply organize their own. In Greece, the State demanded that a hospital close down due to budget cuts. Workers at the hospital occupied it and began to run it themselves. There are also reports that some communities in Greece are attempting to form their own currency or trading system. Around the world we increasingly see workers occupying factories and taking over the management collectively, demonstrating the lack of need for professional “managers” (who take all the profits), and the amazing ability of workers to be both decision-makers and producers. These cases are not discussed often or reported frequently, simply because they represent the problem of a good idea: other people might notice. In this sense, if we understand but don’t emphasize the violent actions of a few, and instead if we come to examine and understand anarchism for the vast diversity of philosophy and tactics it truly represents, we are able to see a great degree of hope and progress coming from this movement in the future. Where the State and corporations and banks work against the people (which is everywhere), where they close factories, foreclose on homes, cut education and health care spending, demand increased costs for people, while decreasing taxes for the rich, there are anarchistic answers and possibilities. In regards to where I currently live in Quebec, with a massive student movement sparked by a 75% increase in tuition, we are suffering under an old paradigm of education, of a political, social, and economic system that benefits the few at the expense of the many. While the first response is to ‘defend’ the educational system as it currently exists, the long-term solution is to radically reorient our conception and organization of education itself. For example, when the university system originated in the Middle Ages, there were two initial brands of university education: the Paris model, and the Bologna model. In Paris, the school was run by administrations and cultural-regional elites. Over time, as the nation-state and capitalism evolved, these became the patrons and administrators of universities. In Bologna, Italy, the school was run by the students and staff. For obvious reasons, the Paris model won out, but it would seem that in the face of our current global social, political, and economic crises, it is time for the Bologna model to win the historical battle in a resurgence. The notion of students and staff running schools is distinctly anarchistic, in the same way that workers running factories is. As Proudhon declared, “Anarchy is Order,” and in a world of so much chaos and destruction and authority, perhaps it is time for a little anarchy and order. 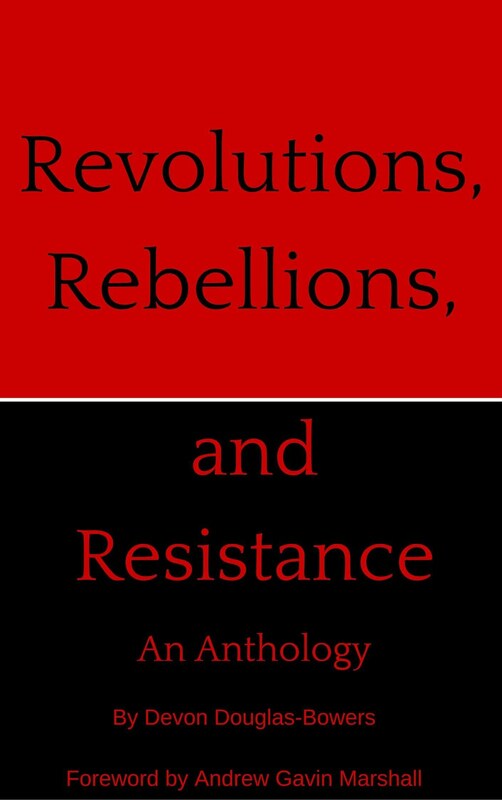 My e-book "Revolutions, Rebellions, and Resistance" is out in paperback via Amazon! What About Peace?+ by Devon DB is licensed under a Creative Commons Attribution-NonCommercial 3.0 Unported License.